Working away on many fronts. As you can see from this Update, this has been a very, very busy and productive week for all of us. We received and shipped Rifts® CS Heroes of Humanity™, many of us worked furiously on The Rifter® #74, I have been coordinating and approving artwork for The Rifter® #74, Hell Followed™ (a Dead Reign® sourcebook), Secrets of the Atlanteans™, and Palladium Fantasy’s Garden of the Gods™, as well as art approvals for Savage Rifts®, among other things. And there are a number of other things being worked on for several projects, Robotech® not the least of them. Read on. UPDATE: Coalition States: Heroes of Humanity™ Sourcebook – Available now! Rifts® CS Heroes of Humanity™ arrived at the Palladium warehouse Thursday afternoon. See the updated description for details. Most pre-orders shipped Thursday afternoon and are already on their way to those of you who had a standing order. Distributor orders and the rest of pre-orders shipped today. I think this adventure sourcebook will blow some people’s minds. Rifts® CS Heroes of Humanity™ is going to change the Rifts® setting in North America in ways you may have never imagined. All in a good way. New combinations of player characters, strange alliances, conflicts and ways to refresh and change existing men-at-arms characters. Rifts® CS Heroes of Humanity™ shakes up the status quo and breathes new life into any Rifts® campaign set in North America. It should inspire all kinds of new adventures and fun. A free preview of Rifts® CS Heroes of Humanity™ is available at DriveThruRPG.com. Keep those orders coming, because every Rifts fan is going to want this book. 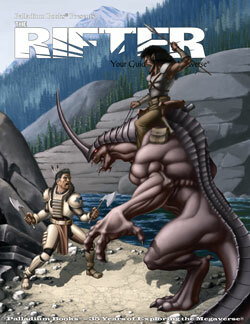 All the articles for The Rifter® #74 have been selected and artwork assigned. Wayne, Alex and Chuck have been at it all week! Alex editing articles and Chuck finalizing the next chapter of the Splicers® adventure source material. Half the issue is “official” source material, too! See the full description and cover elsewhere in this description. 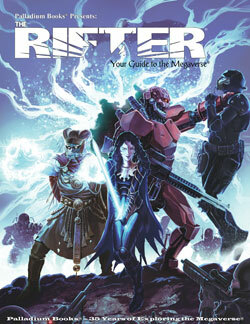 Btw, if you have been wanting to get The Rifter® #73 (all official source material!) and the Double Issue of The Rifter #71/72, you should probably think about doing so soon. Both remain in stock but are running low. If you have been meaning to pick them up, you’ll want to do so before they sell out. Articles for The Rifter® #75 are being selected. Editing and art to quickly follow. We are always looking for Rifter® submissions, so don’t be shy. Send in your adventure settings, towns, villains, monsters, etc. to share with other gamers around the world. I am already fast at work on several books, including CS Heroes of Humanity™ Arsenal, Rifts® Secrets of the Atlanteans™, The Rifter® #74, The Rifter® #75 and others. The CS Arsenal sourcebook presents more background details about the Coalition States and the Minion War™ along with mouth-watering new Coalition weapons, power armor, robots, combat vehicles, and other goodies. 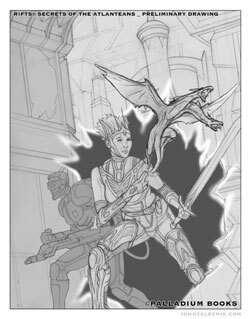 It is a companion title to Rifts® CS Heroes of Humanity™ but works as a stand-alone sourcebook as well. More good stuff of all kinds! See the description elsewhere and place your pre-orders. Looking like a July or August release. Check out the finished cover drawing by John Zeleznik. Color comes next. Rifts® Secrets of the Atlanteans is going to be another dynamic Dimension Book with applications for characters and adventures on Rifts Earth, Phase World® and across the Megaverse®. Looking like a July or August release. Just notes on this one, as I have been focused on Rifts® Secrets of the Atlanteans and CS Heroes of Humanity™ Arsenal, as the ideas come. These books are stand-alone products related by theme, time-line and interlocking events to Heroes of Humanity™, but present their own avenues of adventure. Epic fun is coming this Spring and Summer. In final development. The cover has been assigned to John Zeleznik. Interior artwork to be assigned. We continue to approve finished art and design elements. I just reviewed and approved the Rifts North America map today. All of it continues to look good. The Savage Rifts® RPG line looks like it is going to be excellent. This book is calling my name, but I have other things I need to finish first. In the meanwhile, I think I will be assigning more artwork. This is just one of three Fantasy titles in the works. I sent out the material for illustration by Nick Bradshaw today. Hell Followed will be a 160 page sourcebook written by Taylor White. Juggling a lot, including what’s next for Robotech® RPG Tactics™. It is definitely not forgotten or abandoned by Palladium. Things are boiling. More in a week or two. Much more to come. The Rifts® CS Heroes of Humanity™ FREE Preview is available now, and so are PDFs of Rifts® Ultimate Edition and more than 40 Rifts® titles! Many other Palladium RPG titles are also available as PDFs right now from DriveThruRPG.com, with more Rifts® and other Palladium game titles coming to PDF in the weeks and months ahead. Watch for them. Recent PDF titles include Rifts® Ultimate Edition, Rifts® World Book 27: Adventures in Dinosaur Swamp™, Rifts® World Book 26: Dinosaur Swamp, World Book 25: Rifts® China Two, and World Book 24: Rifts® China One, among many, many others. There are also previews of Rifts® CS Heroes of Humanity™, The Rifter® #73, Northern Gun 1 & 2, Lemuria, Rifts® Vampire Kingdoms, Bizantium and many other Palladium titles. 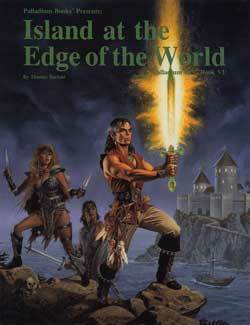 Things remain in place to see 2-3 new PDFs of Rifts® World Books and other titles added every week. Rifts® Ultimate Edition, Rifts® World Book 27: Adventures in Dinosaur Swamp™, Rifts® World Book 26: Dinosaur Swamp, Rifts® World Book 25: China Two, Rifts® World Book 24: China One, Rifts® World Book 23: Xiticix Invasion, Rifts® World Book 22: Free Quebec, Rifts® World Book 21: Splynn Dimensional Market, Rifts® World Book 20: Canada, Rifts® World Book 19: Australia, Rifts® World Book 18: Mystic Russia, Rifts® World Book 17: Warlords of Russia, Rifts® World Book 16: Federation of Magic, Rifts® World Book 15: Spirit West, Rifts® World Book 14: New West™, Rifts® World Book 13: Lone Star™, Rifts® World Book 12: Psyscape™, Rifts® World Book 11: Coalition War Campaign™, Rifts® World Book 10: Juicer Uprising™, and Rifts® World Book 9: South America 2 along with World Books #1-8 and various other Rifts® titles. The first batches of paper minis for Rifts® are now available for download. These 28mm minis are presented in two formats, outlined and blank background, and each includes tech pattern bases. Tri-fold flat versions are also included in each set. More to follow. Rifts® Paper Miniatures: Men at Arms – $2.99 – by Michael Leonard. Male and female paper minis for the original Rifts® Men at Arms classes: Crazies, Combat Cyborgs, Cyber-Knights, Headhunters, Juicers, Merc Soldiers and Robot Pilots. 28mm with tech pattern bases and a page of tri-fold flats. Available at DriveThruRPG.com. Rifts® Paper Miniatures: Coalition Dead Boys – $2.99 – by Michael Leonard. 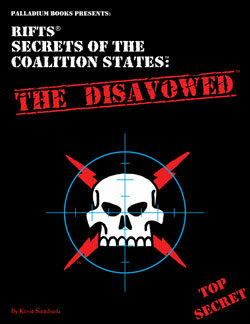 Need Coalition troops to hunt down D-Bees, eliminate magic or fight your heroes in your Rifts® tabletop game? Then this paper mini set may be for you. 14 individual Coalition troops, including 1 Specialist, 2 RPA Elite, 2 Psi-Stalkers, 1 Platoon Commander and 8 Dead Boy grunts. 28mm with tech pattern bases and a page of tri-fold flats. Available at DriveThruRPG.com. Rifts® Paper Miniatures: Adventurers – $2.99 – by Michael Leonard. Male and female paper minis for the original Adventurer classes: Body Fixer, City Rat, Cyber-Doc, Rogue Scholar, Rogue Scientist, Vagabond and Wilderness Scout. 28mm with tech pattern bases and a page of tri-fold flats. Available at DriveThruRPG.com. Enjoy your weekend and please remember to hug your fathers and let them know important they are to you. Game on. 96 pages – $13.95 retail – Cat. No. 174. In final production. 96 pages – $13.95 retail – Cat. No. 175. In final production. 96 pages – $16.95 retail – Cat. No. 665. A Fall release. 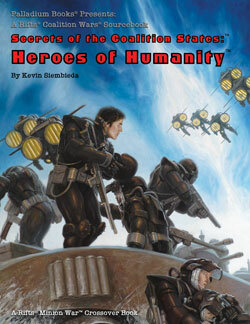 Rifts®, The Coalition States: Heroes of Humanity™ Sourcebook by Kevin Siembieda and Matthew Clements – Now shipping! 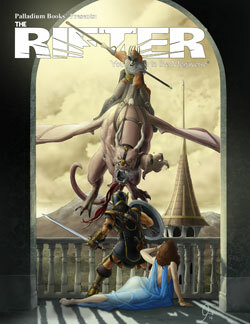 The Rifter® #74 – Spring issue – 96 pages, filled with “official” and optional source material. Ships in July. 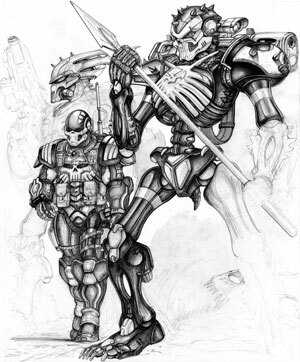 Gen Con is coming up fast and we hope Palladium Books will be a big part of your plans there. There are dozens of scheduled Palladium gaming events including Rifts® and Robotech® RPG Tactics™, a special convention discount coupon you will NOT want to miss in the Gen Con Coupon Book (especially fans of Rifts® and Robotech®), and a bunch of Palladium madmen will be on hand to chat and sign books. Meet and chat with Palladium creators, chat and get books signed. Enjoy scheduled Palladium gaming events. Participate in Robotech® RPG Tactics™ demos. Get new game releases (and old). Rifts®, Robotech®, Dead Reign®, Heroes Unlimited™, Palladium Fantasy®, Splicers®, BTS™, and many other titles. A large selection of RPG products. Original art for sale. Meet artist Charles Walton II. See special convention offer in the Gen Con Coupon Book! Learn more about Savage Rifts® and other games. Have a blast.